Here's the second of the EAGLE COLLECTION full-page pin-ups that occasionally graced the pages of the EAGLE between October 1983 and May 1984. This particular one appeared in the issue dated 22 October 1983. 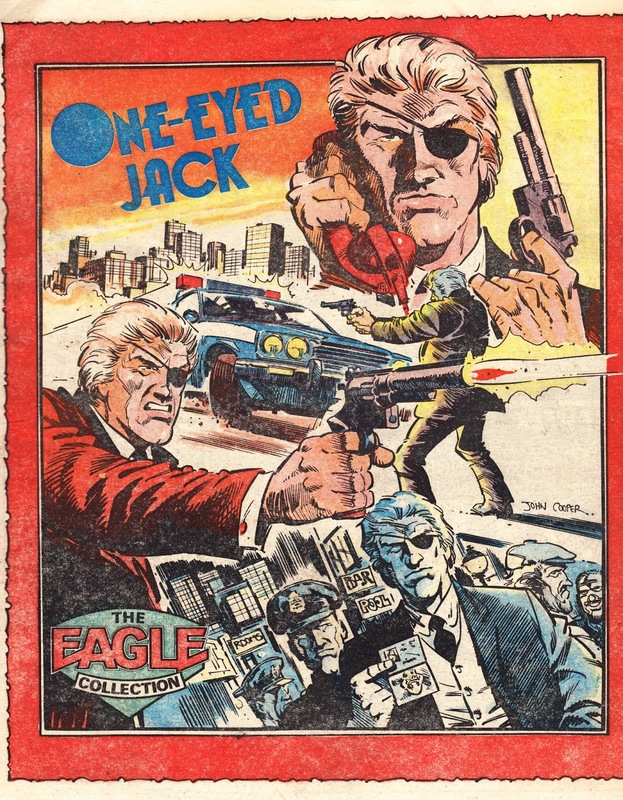 One Eyed Jack was a Dirty Harry - ahem - knockoff (tough cop. big gun) that had appeared in VALIANT the previous decade and dusted-off, to reduce costs, in the Eagle. At the time, I had no idea who the character was (something I guess the Eagle powers-that-be would apply to most of their readership) but I could tell that the strip was curiously dated. Maybe it was the flares!